We had a neighborhood garage sale last week and my kids ran a surprisingly profitable lemonade stand and got rid of a ton of old toys that were just languishing around the house. I told my daughter she could use her proceeds to buy a toy of her choice at the Doll Hospital, and she chose this doll that looks quite a bit like her mother (freckles and red hair). 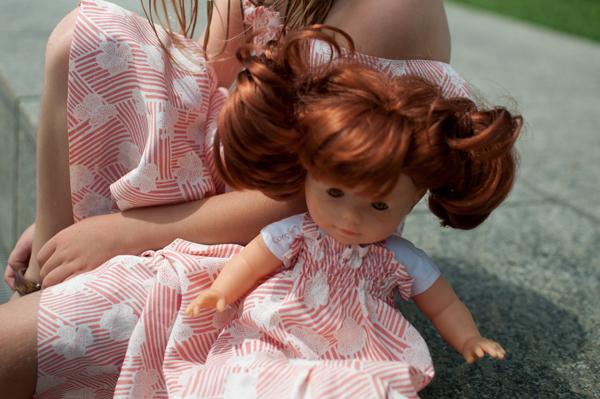 Wood decided to make this doll a summer dress and a matching one she could wear herself. But I have to tell the story of that fabric. We have been looking for a decent fabric store south of 8 Mile for some time, with little success (the JoAnn in Grosse Pointe doesn't count). Wood googled a few stores in the city and the first one we visited turned out to be pretty worthwhile. The La Bon Fabric Store (or Labon, as I think it's called these days) at 18999 Livernois Ave is an amazing relic of when that stretch of Livernois was known throughout the city as "The Avenue of Fashion" (it still is, the store's proprietor reminded me, but the luster of what that once meant has faded as so much retail fled to the other side of 8 Mile). I think quite a bit of the fabric in the store was deadstock, although there was a good variety of fabric types and colors. We were looking for a place that carried canvas as well as fashion fabrics, and Labon did. A lot of the notions were the sort of things you'd find in a fabric store back in the 1970s and 1980s, back when many more people actually made clothes for themselves. The space itself was pretty remarkable, and I learned a lot about the store's history just talking to the owner about the decadent 1940s lighting built into the ceiling. 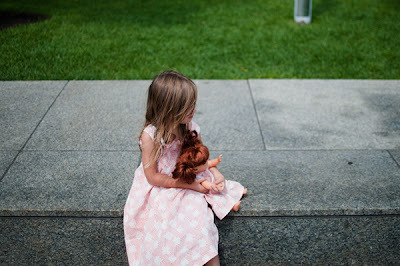 There were huge remnants of deadstock fabric for $2-$5, including the vintage piece my wife used to make these two dresses. It's definitely worth a visit for anyone in the area who is interested in vintage fabrics and a bit of Detroit history. 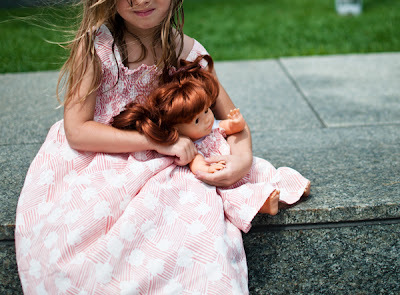 No pattern for this dress, but it's not dissimilar from some of the simple summer dresses she made here. The next Woodcraft I am eager to share with you guys is the product of a whole lot of knitting hours, so stay tuned.